O.K., so it's mono. 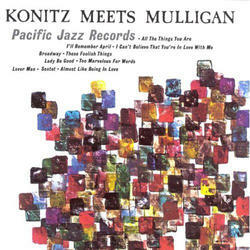 And, for much of the recording, Mulligan's quartet seems simply to be backing Konitz. But hang on, this is a marvelous little gem. 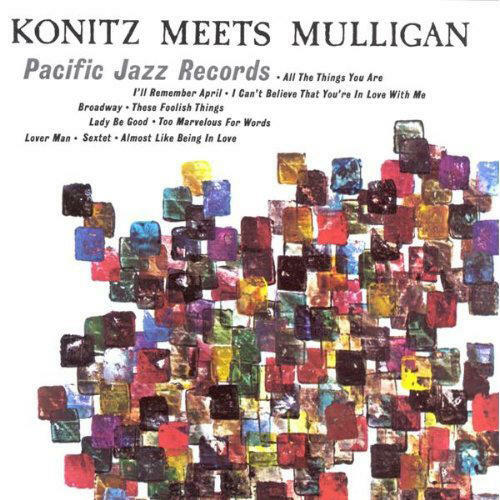 Mulligan on the bari, Konitz on alto, and--yes--Chet Baker on trumpet. How can you pass this up? But this is more than an artifact. This is jazz at its spontaneous and inventive best. Konitz, freed from Stan Kenton, has all sorts of new ideas about these old standards. And, for many of the cuts, as Lee explores the possibilities, you can hear Mulligan purring far in the background (mono, remember), and, every once in a while, moving to the foreground to make a few statements of his own. These two jazz minds talk to each other, tease each other,support and--in a gentle way--challenge each other. And, of course, in a few cuts, Baker's sweet trumpet announces itself and joins the two sax players in their explorations. The now-unheralded but extremely deft Carson Smith takes on most of the bass responsibilities, and provides--along with Larry Bunker on drums--a solid stage for Baker, Mulligan, and Konitz to swing on. 1953 release. 180 gram MONO recording.